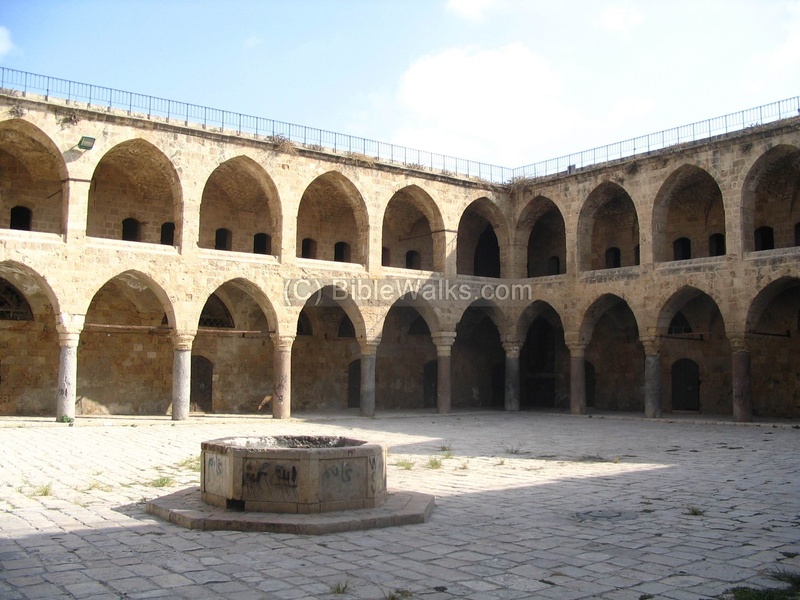 This Khan (hostel) is one of the most beautiful sites in the old city of Acre. It was used as a hostel and storage for the sea merchants. Built in 1784-5 by Jezzer Pasha over parts of the inner Crusaders port. Khan al-Umdan, the hostel of the pillars, is one of the most impressive buildings in the old city of Acre. 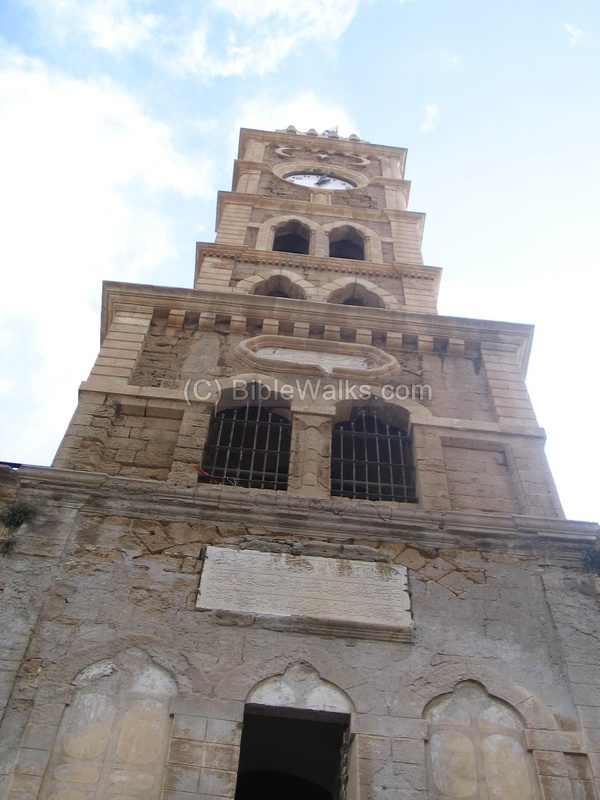 It is located near the port and was used for storage of goods and a night hostel for the merchants. The Khan is located near the marina, on the south-east side of the old city. You can stroll inside the old city and enter the Khan from the east side (facing the market) or from the west side (a passage to the Pisan port). In the Crusaders times (12th-13th C AD), before the Khan was built, the place was the center of the Royal Cathena quarter. It was the probable site of the "Court of the Chain" which adjudicated cases of maritime commerce. 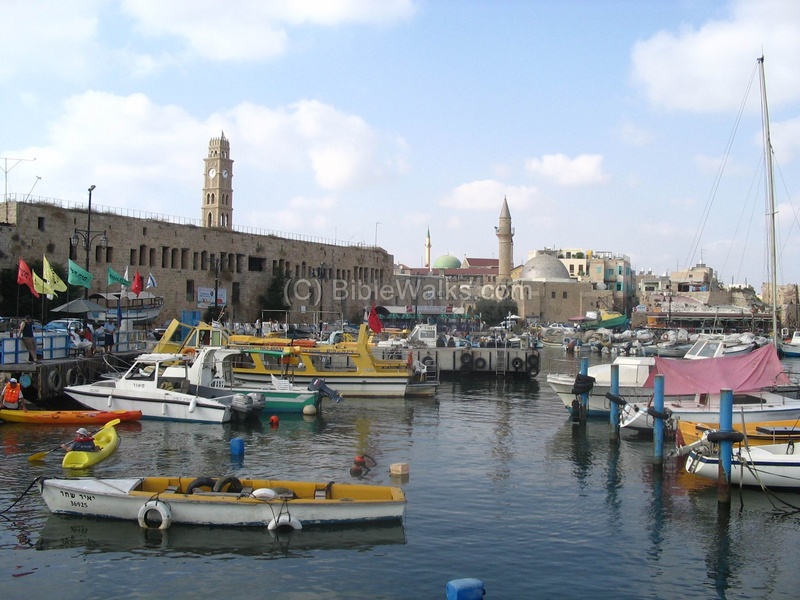 Also, at the site was an internal anchorage of the port of Akko. The Templars also built an underground tunnel from this port to their fortress on the south-west side (read about it in another page). 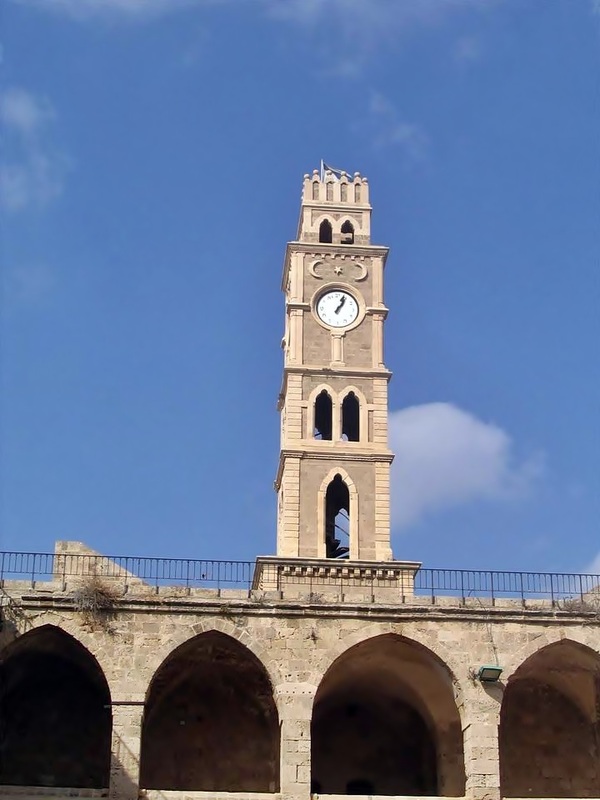 The hostel was built in 1784-5 by the Governor of Acre, Ahmed Jezzer Pasha, as one of his projects of improvements in the city. The hostel was built on part of the inner harbor. In the Napoleon maps, used at the siege of 1799, the site still appeared as an inner port. It was called initially Khan el-Jezzer, named after the Governor. Soon the hostel was known as Khan el-Umdan - the hostel of the pillars. The magnificent courtyard is dominated by these pillars: there are 40 marble pillars that were brought from the ruins of Caesarea, and possibly Atlit as well. Due to its proximity to the port, merchandise of the maritime import-export was stored at the Turkish times. It was also used by the merchants as a hostel. Nowadays, the khan is a tourist spot. It is also used as a open air stage during the festivals in the city, such as the Theater festival during the month of October. After entering the court yard, a magnificent view of the pillars is seen from all sides. These marble pillars hold the arches that support the second floor. A well is located in the center. This is the view from the ancient port, now used as a marina. On the right side, with a silver dome and tower, is the Al-Bahr Mosque (the sea mosque), originally called the Sinan Pasha mosque. It was built in 1586, destroyed in the 18thC, and rebuilt in 1816. In the far background (a green tower) is the Grand Mosque, El-Jezzer. This tower raises high over the east entrance to the Khan. It was built in 1906 to honor the 30-year Jubilee of Sultan Abdul Hamid II (lived 1842-1918, Sultan 1876-1909). 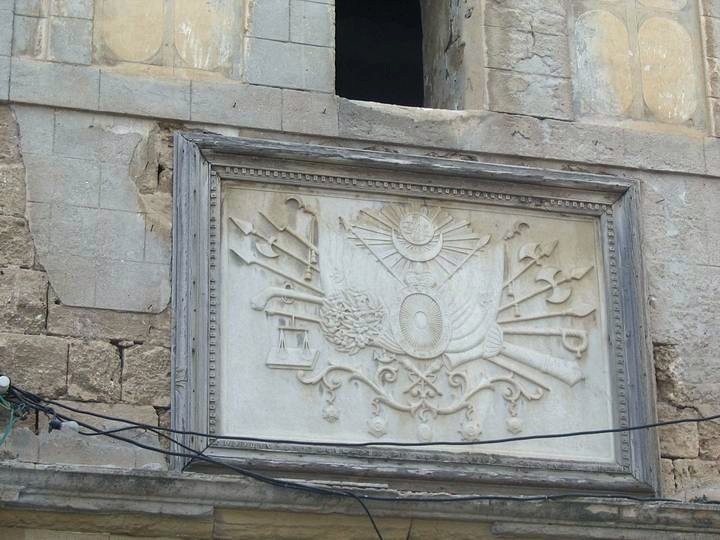 A marble plate is located above the entrance, with the emblems of the Ottoman Sultans. A view from the bottom of the tower. Umdan - Pillars in Arabic.